Map It! 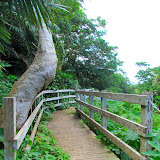 Okinawa: "Yomitan's Tucked Away Nature Trail"
For those who are not familiar with Yomitan Village you are most likely to drive pass a small nature trail and not even be aware of it. This is because the beginning of the trail is tucked quite cleverly near a slope just off Highway 12 as you are heading towards Zakimi-jo Castle from Highway 58. The mostly, paved small trail is about 1.5 km long. However, it still delivers an opportunity to view nature, especially birds who feed along the creek side. Though it seems largely forgotten because of overgrown vegetation in some areas, it can still serve as a nice morning or afternoon walk with the family dog or with a friend. 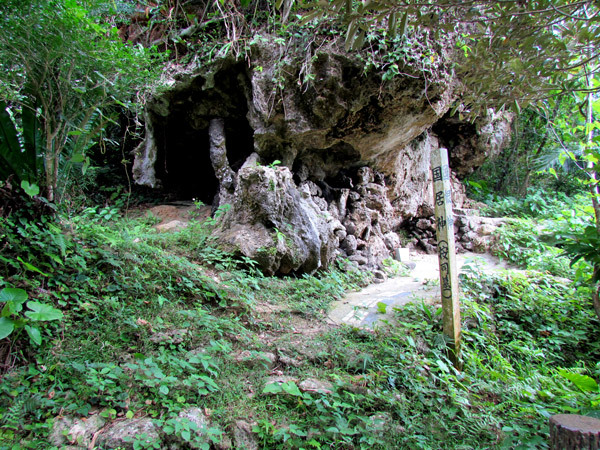 At about a 150 meters into the trail you will see a well to the left and at the very end of the trail you will see a set of steps that leads you to a small cave cut-out structure used as a prayer site. 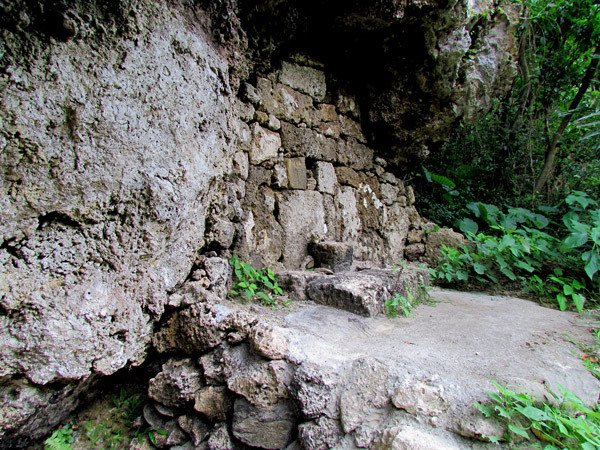 There is also a small tomb built on the cliff side next to the prayer site. You cannot go any further pass this point. The creek that skirts along the trail runs into the Nagaham Dam, however, the dam will not be visible at the turning point. If you do decide to walk your dogs in this area please keep them on a leash. 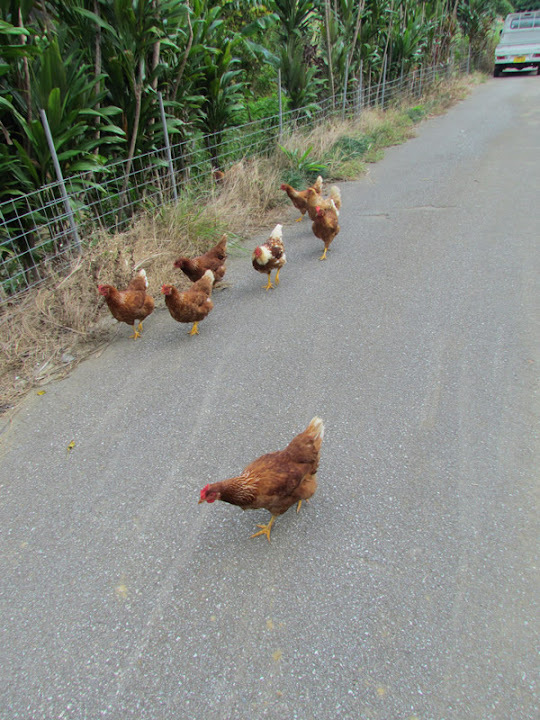 There is a farm next to the trail with chickens and small farm animals that roam the area freely. 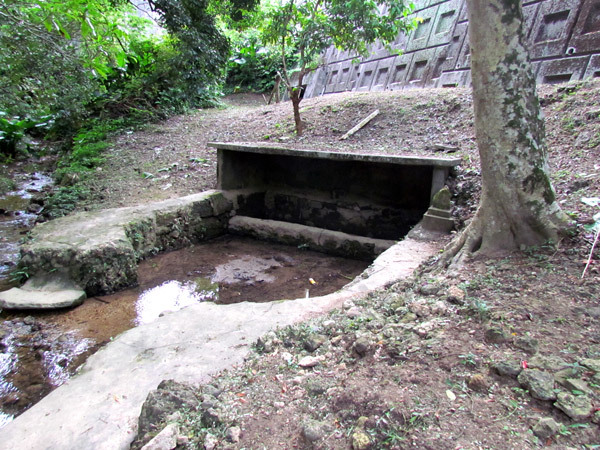 Also marked on the map and south of the trail is a small well believed to be named 'Tanangaa' Well. The carved name etched in stone next to the well was slightly eroded. 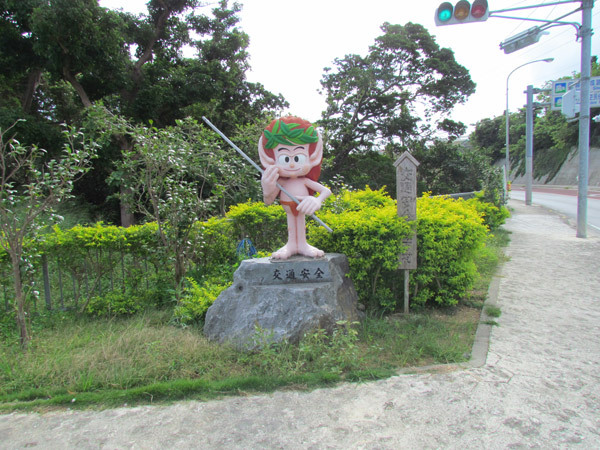 Other places of interest nearby: Zakami-jo Castle. 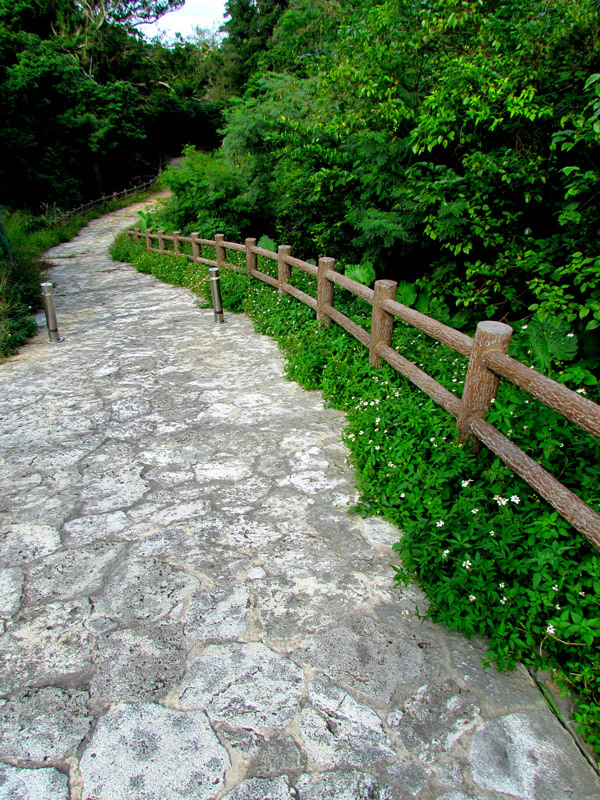 The entire time I lived in Yomitan I didn't know of this trail. That was in 86-88. My loss. I won't miss it next time though! To be honest...I'm not sure how well paved the trail was during the 80's. 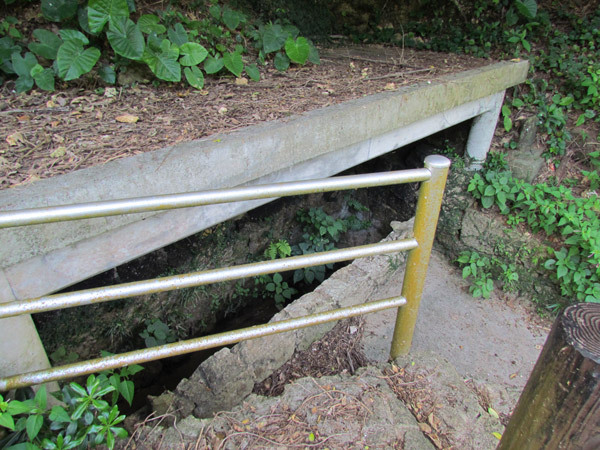 I imagine the old graves were there, just the access to get to them might have changed.